snowshoeing, snowmobiling, downhill skiing, hiking, mountain climbing, mountain biking, fishing. Our hotel is located next to a 9-hole golf course and 2 cinemas. Discover the Aquamotion aquatic center and La Rosière Lake, just 6.2 miles (10 km) away. Hotel has excellent location at top of Courchevel 1850. Piste was 50 meter from hotel with 1-2 minute ski run down to Courchevel 1850 centre with three egg lifts. Our room seemed recently refurbished with plenty of cupboards and drawers for two persons. Heating a bit weak, just managing to keep 21 degrees when set to maximum temperature. No coffee or tea making facility in room, but we managed to borrow a water kettle after waiting a day, since they are limited. Excellent food at breakfast and evening buffet in restaurant and attentive staff. Hotel staff in general very polite. Location at top of resort not well suited for those who do not wish to dine in hotel. Not good that a 4 star hotel does not have a boot drying facility, necessitating guests to take their boots to the room to dry. This is the third time we have taken a 3 night / 4 day holiday at the Courchevel Mrcure. It is perfectly convenient for the skiing, especially with the Jardin des Alps ski gondolas that let you go into the centre of 1850 for the evening. Friendly young staff worked very hard to meet our needs (bagage from car, storing our suitcases, good table service at the bar etc etc. I did not stay with you. In the autum 2018 I booked a superior room but in december 2018 some tests showed that I schoud go through treatment at a hospital in spring 2019. In january (2 month before arrivel) I called the hotel Mercure to cancel the room. I called again 1 month ago. At neither of the calls it was possible to cancel or make other arrangements. (I know the wording of the booking terms - but I consider this as a kind of force major). We have stayed several times at Mercure hotels (as you can se on my member card) so we are deeply dissapointed of the attitude from Mercure Hotel. Yours Thomas H.. The stay was very nice, helpful staff, great location & convenient. Although there were 2 main drawbacks: first, was the availability of food at different times of the day (including room service) was a big drawback for all of us. Plus there is nothing available after 10 pm whatsoever. The ski room was always very wet and the boots were always very humid no matter how they were left or where in the ski room. The ski room definitely needs to be upgraded a bit. Great location and the staff could not have been better. The hotel is generally tired and it needs a refurbishment. The bathrooms in normal rooms are very dissapointing as the look like they were installed in the 70's..brown and drab. We had a 3 rooms including a refurbished room in which the bathroom had been retiled....BUT the shower head was so low that you could not stand under it! It needed raising by at least 30cm. The choice of food was limited . The buffet was very , very expensive at €57 per head and not worth it. The regional menu was good fun for one night but a bit soulless. The boot room needs heating and because it isn't people all take their boots back to their rooms...many wearing them in the hotel. Thus the carpets are damp .The corridors do unfortunately smell of smoking. BUT THE LOCATION - ski in and out - outweighs all of the above and we would return. Especially if there was a bit of investment. Being a Le Accor platinum member generate benefits that should be applicable all over the world in the Le Accor group. The Being a Le Accor platinum member represent a quality label that generates a list of benefits. This hotel didn’t apply any of these benefits, examples are a welcome drink that I had to ask myself during check-in, and no later (1-2h later) check-out possible for unknown reasons. The team working at front lobby is the first contact with the customer, and here the service level is poor. Anything I’ve asked for felt like an impossible task for them, and that’s not how I want to experience my check-in or any other questions I’m asking. The buffet diner and breakfast was good, a wide choice and decent good French food and kind staff. The key of the locker was broken, and also here simple solutions were not in reach, so I took my snowboard back to my room after waiting for 15min. Hotel is nicely located just a 5min from the first lift up. Starting with the excellent points: excellent location with an awesome view allowing in and out directly on skis. Staff is friendly, courteous, always willing to help. Very convenient shuttle. Request for early check-in fulfilled. Could not grant late check-out but provided cloakroom and courtesy room. Quality of breakfast and evening buffets was very good with fish/meat/pasta choice everyday and &quot;La Montagnette&quot; option is a real plus. All these made it an excellent stay. Then, the sore points: the rooms/bathrooms are outdated (but the beds are comfy), bath is almost compulsory as there is no shower curtain/glass. Ski lockers are unsuitable. Several TV channels (all French Television) didn't work. Buffets are good but a little bit more diversity of the sides would be welcome. In short, some kind of renovation/refreshing will be needed. The service was excellent & all staff were extremely helpful. We loved our stay! The service and staff friendliness and attitude is what made our stay enjoyable and will make us book this property again. The hotel a tad tired looking but the food and service made up for that! We will be back. The beds were comfortable and the breakfast good. Reception staff were helpful and the shuttle service was good for getting to dinner in town. I did not like the liquid soap provided as it was very drying on the hands and skin. If this were improved the overall experience would have been higher. Some hooks in the ski locker would also assist in fitting in skis and boots. Spacious and comfortable room, great breakfasts, friendly staff. Evening buffet not great (bone dry roast chicken). Don't ask for late check-out. 2 days before departure I asked for a late check-out, and again the next day. I was eventually finally informed at 9.15 on my day of departure that I could extend from 12.00 to 14.00 for 100 Euro. The hotel was not busy so there was no pressure on rooms. We checked out at 9.30, left our bags in store and eventually had to change in the bag store. Customer service?! Sad because the hotel deserves a better review. The stay was great and very comfortable but there is some room for improvement. The staff were second to none before and during our stay. The food was excellent both AM and PM and again, the staff could not do enough for you. I only have two minor grumbles. The bar area seating is not very comfy and not really suitable for a drink and rest after a days skiing. The prices need to be addressed as it’s as expensive if not more than the mountain bars and bars in the centre. The bar doesn’t appear to have a passing trade and isn’t easily accessible to skiers. The second small grumble was we booked through booking.com and paid in full months in advanced and were informed all bills and charges were included. On check out we were given a local taxes bill. Considering we had paid toll roads, bought ski passes, spent hundreds while there this felt to be an insult and should be covered on a nightly stay. The last is the bathroom. I’m 6 foot and medium build. I couldn’t fit under the shower and struggled in the bath. The finish on a plus, the staff organised my ski pass and hire prior to arrival. The location is fantastic and you can ski in and out of the hotel or jump on the lift. A great place and even better staff. It was a family trip and all had the same bad perception related to one issue: terrible cigarette smell in the access to the rooms right after leaving the elevator ( rooms 114 , 118 and 120 ) . The area was supposedly NON SMOKING but the desgusting smell was adsurdely intense, including the inside of room 114 !! Please note the bad evaluations below are all related to the cigarette bad smell issue. Positive note for the very friendly staff in the front desk. Dear All, We were happy to stay at your hotel. However we have not like the fact that our New year eve was without dinner. Nobody apologised for that. Everything in the hotel is extra cost , for me not so fine. Although the hotel have easy facilities for a winter stay I didn't like the service . We couldn't have eaten on the other days, but to on the 31 December. It has spoiled an irreparable I had a better experience only during the booking of the hotel room new year beginning with my family. we landed in our room. Till the last day nobody apologised for it. We even left the hotel nobody discussed the issue. For a four star hotel It was strange to accept it. Not so motivating to come back again. The goood: 1. 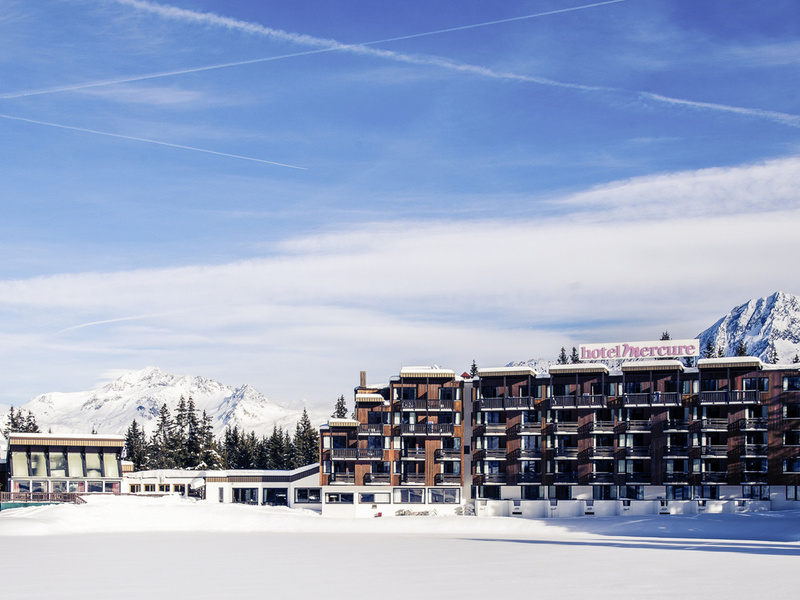 The location of the hotel is excellent with ski in/out and great views of the ski slopes. 2. Rooms are clean, although bathrooms many need a refresh. 3. Breakfast is very good with wide selection and good quality products. Good coffee. 4. The staff are professional and ready to help. 5. Adequately priced. 6. Free car parking The bad: 7. No shuttle bus for guests willing to go to the town center and back. 8. No evening entertainment at the hotel lobby for lounging guests. 9. Long waiting service at the lobby for snacks in the afternoon. The ugly: 10. Check in is at 16.00 and check out is at 10.00!! for a holiday resort location (not business hotel in city centre) is just crazy. Guests are pressured to clear the rooms before having their breakfast, which makes for unnecessary stress and negative last impressions of the stay. FYI 10.00-16.00 is the prime skiing time for skiing vacations. Such strictly enforced check in/out conditions result in yours guests missing their precious skiing time. The hotel should not need 6h to clean the rooms. Outstanding locations but the hotel needs to be refreshed.